Recent data indicate that pedestrian and bicyclist deaths are on the rise at an alarmingly fast rate in Florida. The Governors Highway Safety Association released a study showing that Florida is on pace to have six hundred pedestrian accidents in only one year, according to MySunCoast. 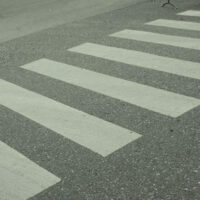 That means Florida has the second highest rate of pedestrian accidents in the entire country. Nationally, there were roughly six thousand pedestrian deaths in 2016. This would mean 2016 is the first year in more than two decades with over six thousand pedestrian fatalities. In 2017, there have been approximately 146 pedestrians killed in traffic accidents in Florida, and the year is not even over yet. In order to recover for these damages, you need to file a claim with the at-fault driver’s automobile insurance company. In Florida, all motorists are required to carry up to $10,000 in Personal Injury Protection (PIP) benefits. These are paid regardless of fault. If your damages are more than the available PIP benefit coverage, you will need to file a personal injury lawsuit to seek additional compensation. This will require your lawyer to present evidence that the driver was negligent and therefore liable for your harms and losses. If you were hit by a driver while crossing the street or while on your bicycle, you do not get an infinite amount of time to pursue an injury claim against the at-fault driver. This is because Florida has a statute of limitations on the books that established a deadline for the amount of time you have to file a lawsuit in civil court. According to Florida Statutes Annotated section 95.11(3), a personal injury claimant has four years from the date of the accident to file a lawsuit in a civil court. If you do not file your case within this period of time, a court will very likely refuse to let the case go forward and you will be unable to recover for your harms and losses. However, it is strongly recommended that you take action shortly after the accident and not procrastinate. This is because your Miami personal injury attorney needs time to investigate the accident, collect evidence, interview witnesses, etc. to strengthen your claim. If you or a loved one was hit and injured while crossing the street or riding a bike, take the time to speak to the experienced pedestrian accident lawyers at the Miami office of Alan Goldfarb, P.A. We are eager to assist you with your case.